Bronislaw Komorowski, currently Acting President, is most likely to win the next presidential elections as a candidate from Poland’s ruling Civic Platform party, claims political analyst Dmitry Babich. At least two candidates from Poland’s two biggest parties – the Civic Platform and Law and Justice – are likely to participate in the next presidential elections, says Babich. “Most likely, the candidate of the ruling party – the Civic Platform – will win. And that is Bronislaw Komorowski, also a politician very critical of Russia. Also a former dissident, just like Kaczynski,” says Babich. Journalist and former member of the European Parliament Guiletto Chiesa says the new leadership may entirely reconfigure the future of Poland’s relationship with Russia and the EU. 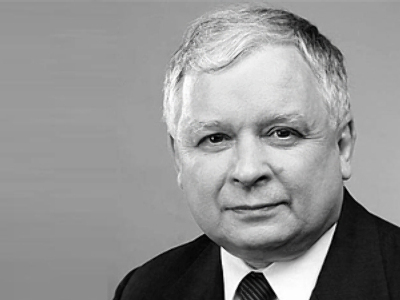 “It was clear that President Kaczynski was strongly anti-Russian and for that reason he had large support inside Poland for a long time. But [he] was also a problem for the EU because of his distrust for [Russia. ],” Chiesa explained. Political analyst from the "Voice of Russia" Radio Station, Anton Bespalov, doesn’t expect unrest to occur in Poland due to the political vacuum created by the death of the political elite. "The Polish political system is very robust and it's unlikely to be challenged in any way by this crash. Besides, Polish society has a very strong sense of solidarity," Bespalov told RT.